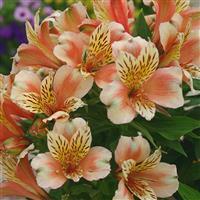 Sophisticated lily-like flowers, with petals that are blushed with a peachy-salmon colour around a flecked yellow central throat. 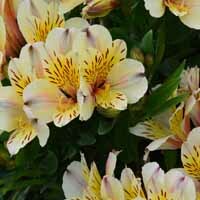 Foliage forms a bushy mound of luscious green leaves. 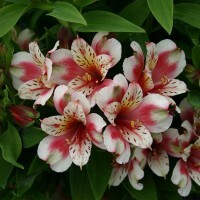 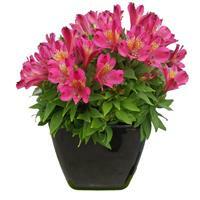 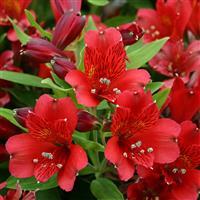 Hardy Alstroemeria has been specifically bred to be shorter with larger flowers, making them idea for containers and the garden.